Shoot Around Corners Without Exposing Head Or Body! 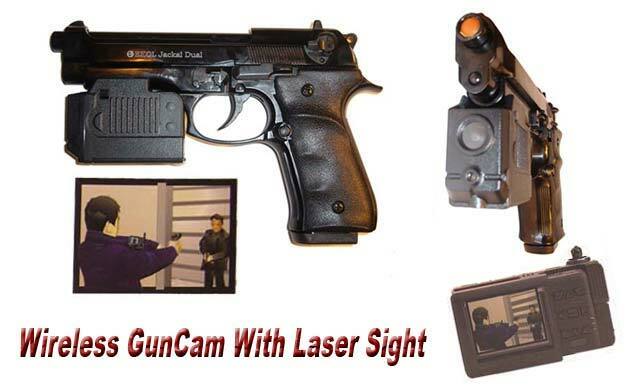 Obtain Video Evidence Every Time A Gun Is Pointed And/Or Fired! 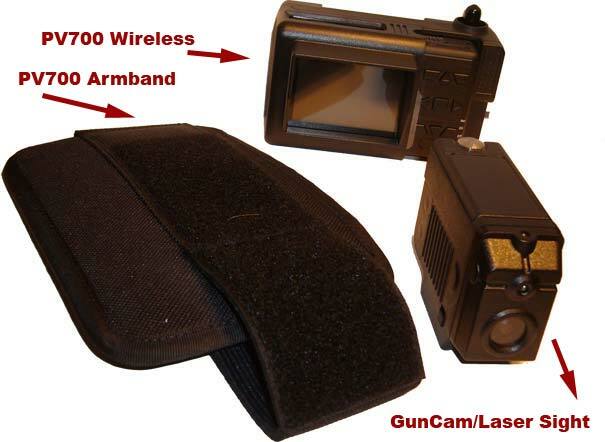 The new generation high resolution CCD Gun Video Camera attaches to guns and sends the wireless video to our PV700 Wireless DVR which can be worn on the arm with a specially designed arm band. With the viewing screen, one can shoot around corners or simply take video any time the gun is aimed for evidence preservation. • .2 Lux low light rating! Innovative design and law enforcement grade gives you video evidence gathering on every gun pull and permits one to see around corners to shoot without exposure of head or complete body. The high resolution GunCam attachment has a built-in laser sight so you can hit the target every time. 20, 50 and 100! Call For Dealer Pricing! 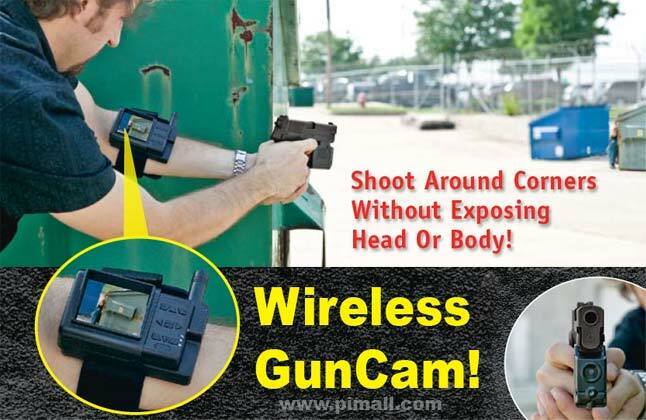 Check Out Even More Covert Video Gear!